Wiping off the dust off of this site. A post by my beautiful, nine-month-pregnant wife Mimi. I have always had relatively “easy” and uneventful pregnancies. Having tackled some of my physical and mental issues over the past two years has helped this third one be the “easiest” yet. 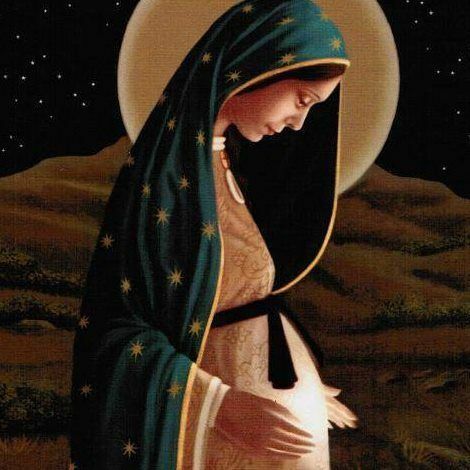 But even an “easy” pregnancy is in no way without aches, pains, doubts, and sacrifice. Throughout some of the tired days and uncomfortable moments, the phrase that most often came to mind is Jesus’ words, “this is my body, given up for you.” In some ways, it became a mantra for my pregnancy. Doubled over because of an abdominal cramp? “This is my body, given up for you.” Sleepless night because every position makes my hips feel like they might explode from the heavy ache? “This is my body, given up for you.” A twinge of sadness when looking at the scale or in the mirror? “This is my body, given up for you.” And over, and over, and over. Even in the moments that I do not actively recognize my sacrifice, I am living it. We are all called to be an image of Christ to others, but are there many greater examples of this than a pregnant woman? In many ways, my body is a living sacrament---making visible the invisible mystery of Christ, a life given for another. Everyday, I make visible the words of Jesus, the powerful, mysterious words through which ordinary bread becomes extraordinary and God Himself enters our bodies. My ordinary body becomes something extraordinary, as I receive another’s body into mine, creating another body that, for a time, resides in mine. This child, this human, who lives inside me for nine months, lives off me and my body. For this child, I become the food, for this child I provide the “bread,” the nutrients of life. This sacrifice of giving life to sustain the life of another may be represented in it’s most visual and obvious form through the gift of pregnancy. I’ve learned, however, from St. John Paul II, that this gift, this privilege of giving life, is inherent to the soul of a woman, created as woman, whether or not that gift extends to physical pregnancy. Do we not then, simply by being a woman, have a special privilege of understanding Christ? Is it no wonder then that so many of the disciples who followed Jesus until the bitter end, who looked for Him after His death and resurrection were women? Is it surprising so many of those who have filled His churches, served His poor, educated and loved His forgotten, have been and are women? No doubt being a woman brings, in some ways, greater burdens, but does it also not in other ways bring a greater gift? Greater privilege? Even the least educated among us women can understand Christ in a way that a man, however learned in the Bible and theology, can’t. That doesn’t make us better, but in the scheme of life and eternity, that does make us privileged. This is why I’m frustrated when I hear that women need to be priests to be equal in the Church. Through ordained Priesthood, God gave men the power to create life: a gift that had already been given to women (albeit in a different way) through their design. Thus, a path to equality should not expect women to do more. Rather, we must see as Christ sees: there is a unique priesthood of women that already exists. Look and see what I am already doing. Understand that there is something greater here than a waddle and a huge belly. I don’t need to preach with my words; but simply be---be noticed, seen---sitting or standing or in whatever position I can possibly find comfortable. We must marvel at and honor what woman, through her femininity, can already do. Jesus labored in the garden, as I am about to labor as well. The cup could not pass from Him, but He knew, like I do, that the suffering would be over soon. That through the suffering, life would be new. As I prepare for my passion, for the end of this pregnancy, I pray that I may be a witness to Him through all that my femininity allows me to do.